Saturday is looking nice, weather is 13-18 degrees with some sun in the morning, cloudy in the afternoon, and sunny again late afternoon. Sunday looks to be wet and breezy until the afternoon. Dry after 3pm. Keeping the weather is mind, they’ll be ideas for all forecasts. 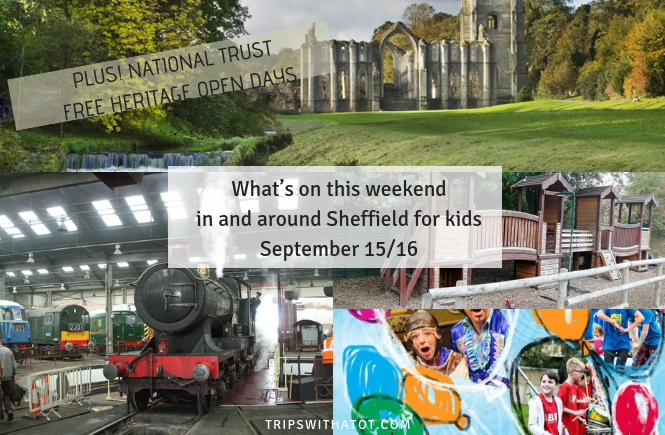 Let’s get started with heritage open days and this weekend top picks for events. 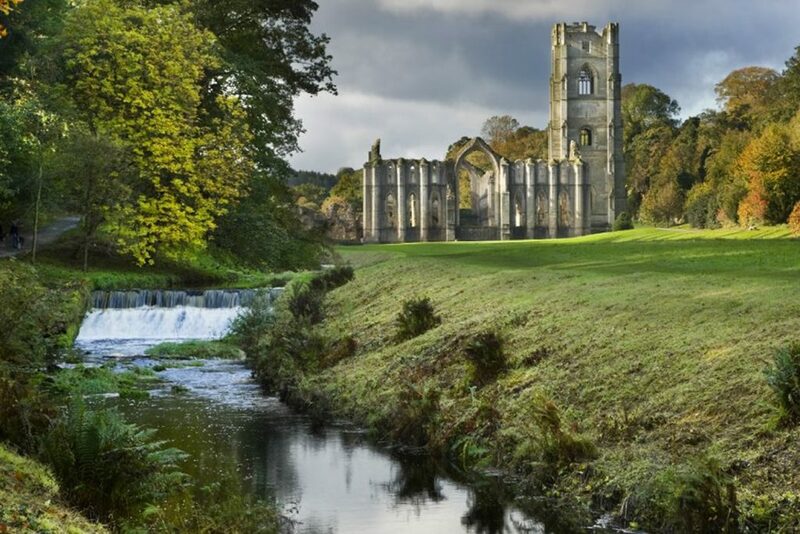 Explore National Trust Fountains Abbey for free on Saturday 15th. Where? Ripon, North Yorkshire, HG4 3DY. What to do? Explore ancient abbey ruins, amazing water garden, get behind the usually locked doors of the how hill tower and step inside the fountains abbey mill. Beningbrough Hall, Gallery & Gardens, National Trust, open for free all weekend. Where? York, North Yorkshire, Y030 1DD. What to do? Explore the evolving gardens and watch the harvest grow. Take a seat under the new Pergola, designed by Andy Sturgeon. Head into the hall to see ‘Making her mark: celebrating creative women’. For families, build a den or let off steam in the wilderness play area. The top floor of the hall has interactive hands-on galleries, perfect for big and little kids. East Riddlesden Hall, National Trust, free entry on Saturday. What to do? Natural play area, bird hide, wild play garden and hands on activities in the house. Beautiful gardens to explore, including the discovery garden; a family favourite with a hobbit house. FREE behind the scenes guided tour of the coal screens for Heritage Open Days at National Coal Mining Museum for England in Wakefield, plus free family activities, workshops, Hope Pit explore, Saturday & Sunday. Lots to do for FREE, read our review here! 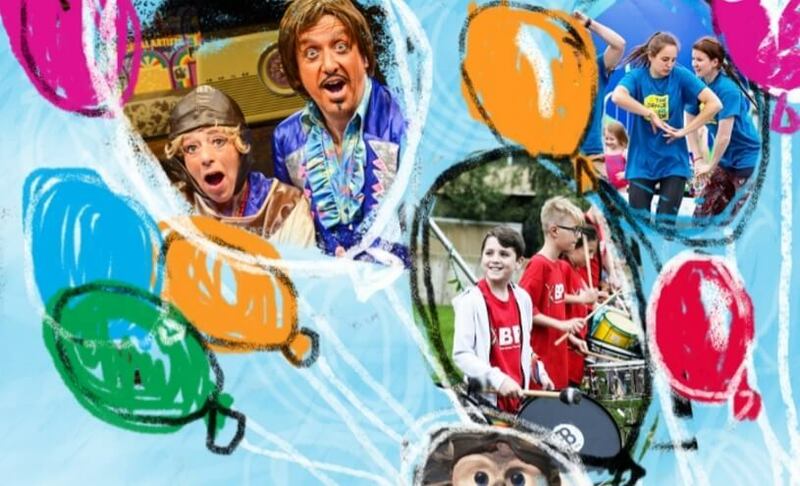 Enjoy free live entertainment at The Civic, Barnsley for Civic Garden Party. 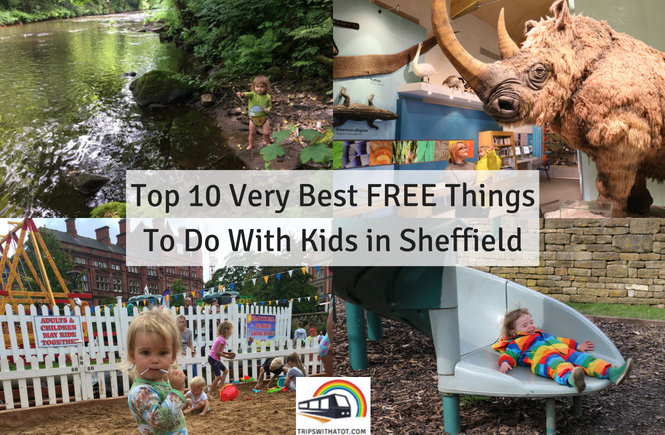 Puppet show, music group, green top circus and many more, for free. Wet weather? It’ll be indoors! 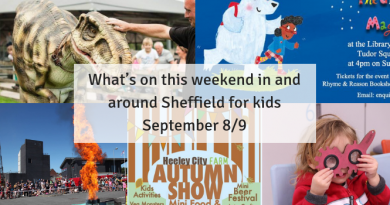 Sheffield Vegan Festival at Megacentre 10:30-4:30pm on Saturday, Samples, discounts, food tasting, vegan food stalls including chocolate, cheese, cakes, takeaway food, animal sanctuaries, clothing and so much more. 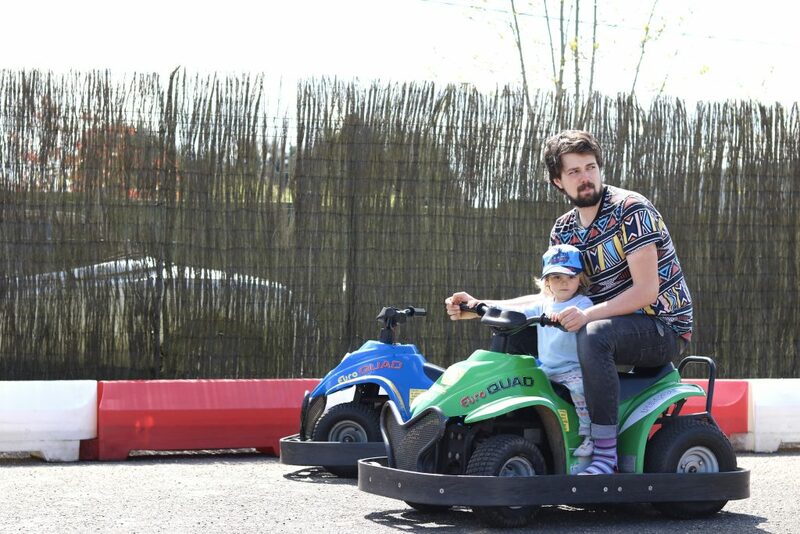 Under 5’s go free. Watch Big Kid Circus at Clifton Park & Museum on Saturday & Sunday, 2 showings a day – afternoon and evening. Catch a screening of Despicable Me 3 at Greenhill Library on Saturday starting at 2pm. Just turn up, no booking required. Refreshments available. Don’t miss The Blondin Gala at The Piece Hall on Saturday 6.30pm – 10.30pm. Magnificant circus acts in the open air, a celebration of the historic event when in 1861 international sensation Blondin completed a tightrope walk across The Piece Hall. The Bullzini Family will recreate this great high wire feat for this specially commissioned show for the big occasion. The lead performers are Chris and Phoebe Bullzini, who have worked together for over seven years as wire walkers and are the only UK couple to have tied the knot while on the wire. Side show curiosities, vaudeville style street theatre, circus acts and magic, plus a making magic workshop for families. 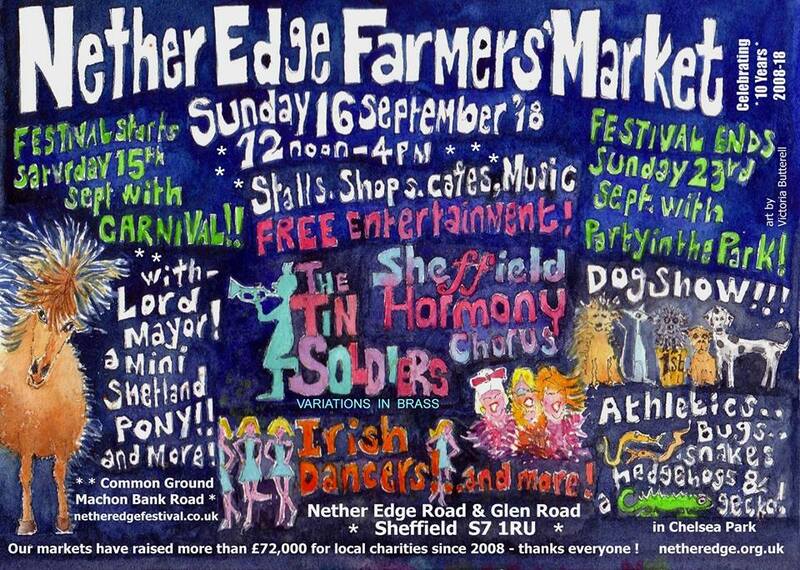 Sunday, 12-4pm is Netheredge Farmers Market. 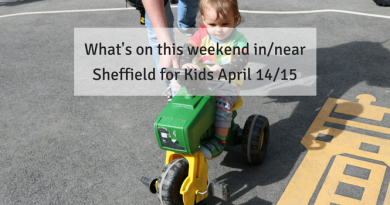 Lots going on such as free entertainment, stalls, cafes, army band and 60 stalls scattered throughout Netheredge with crafts and delicious food. On Sunday, it’s 1940’s open day at Sheffield Manor Lodge, Discover the 1940s at Manor Cottages as Mr and Mrs Barnes open their doors for visitors to hide in their Anderson shelter, have a go at ration book cooking, learn how to put out an incendiary bomb, wash without electricity and make a peg doll. £1 adults, kids free. Abbeydale Miniature Railway open day on Sunday, September 16th 1-5pm- tickets for December’s Santa Specials on sale from 1pm. 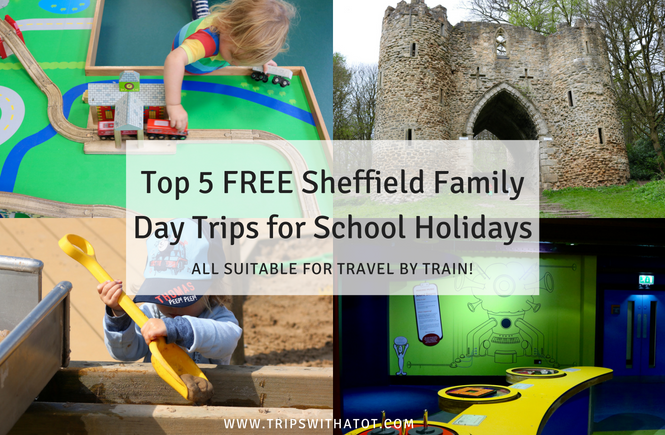 Train rides £1.50 all classes. Amazing place. 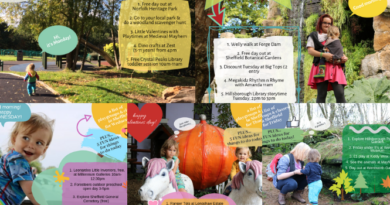 Find a family walk with a playground to enjoy for the lovely weather on Saturday. Why not try a JUMP INC Toddler jump session? They run on weekends near Meadowhall, or try JUMP Incflated at Rotherham the worlds largest inflatable theme park. 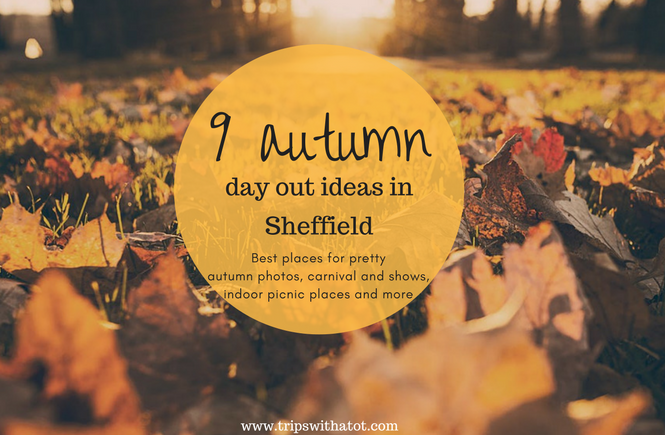 5 Outdoorsy ideas for Saturday: Renishaw Hall & Gardens, Rivelin Valley Park (free), Bogart trail at Longshaw Estate (National Trust, free), Mayfield Alpacas Animal Park, Boston Park Farm. Heading outside with your LO but not sure how to keep them busy? 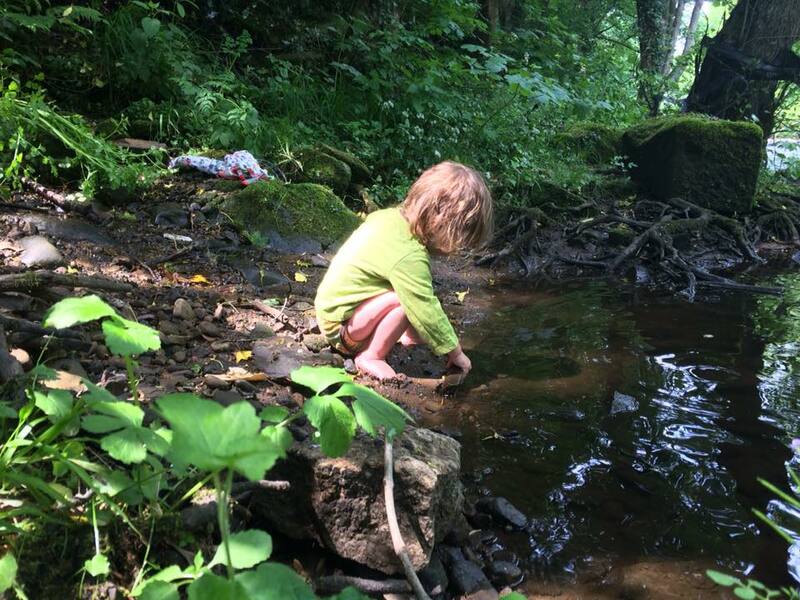 Read this guide to outdoor nature play ideas. There’s still free trails on! Such as the Manchester Bee trail, Nottingham Robin Trail and Piano trail in Leeds. All free! And don’t forget room on the broom trail (permanent) free in Wakefield. 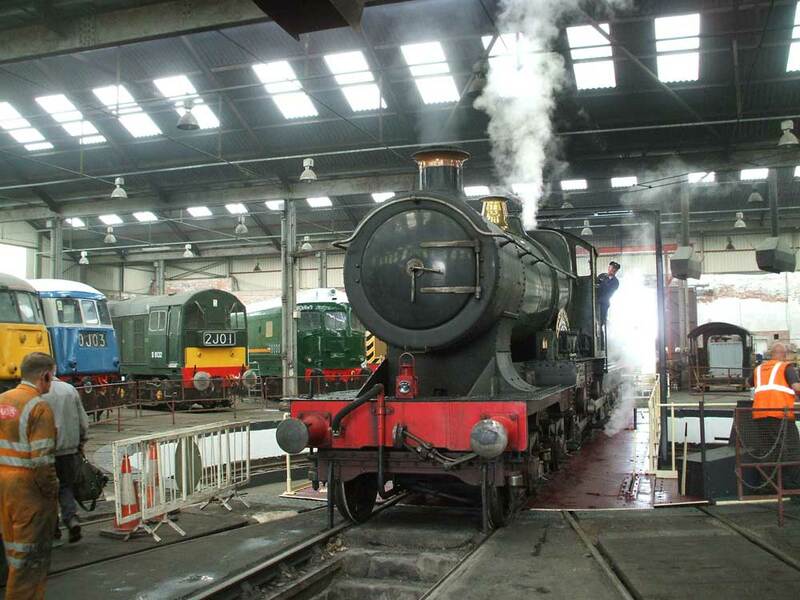 See lots of trains at Barrow Hill Roundhouse Railway in Chesterfield, £3 adults, kids free. Cafe & gift shop! 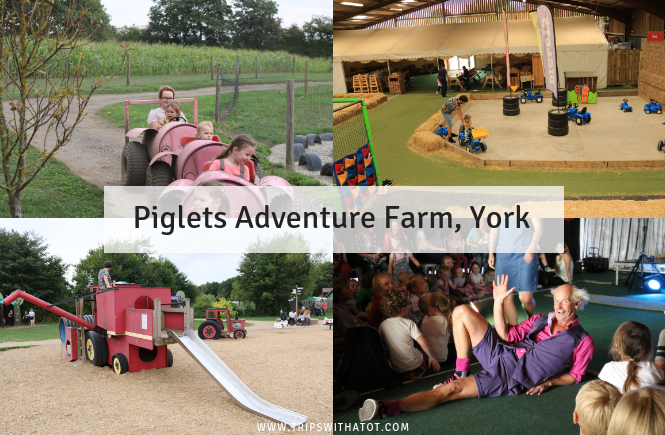 In York, try Web Adventure Park: there is indoor AND outdoor play, loads to do, lots of variety & good value for money. Suitable for days when it’s wet and dry. Looking for awesome slides? Medieval Mayhem Indoor play centre has some of the best! Pretend to be knights at Conisbrough Castle. Have a little stroll in Bakewell to Hassop Station Cafe: lovely food, Wendy houses, playground and toys for little ones. Thank you for reading! Please don’t forget to LIKE this post if you saw it on Facebook (interaction is so important, thank you!! ), subscribe to my blog here and check this weeks NEW published posts at the home page here. See you next week! ← It’s World Suicide Prevention Day. I’m scared to tell the truth.